Lindsay Morris: Ricchina’s Wedding is a series about a young woman’s surprise wedding-themed birthday party (PHOTOS). When Janice Di Joseph and photographer Lindsay Morris sat next to one another on a train, the two women struck up a lively conversation. Morris said she was drawn in by Di Joseph’s extrovert personality, but it was her daughter Ricchina who immediately caught Morris’ eye. 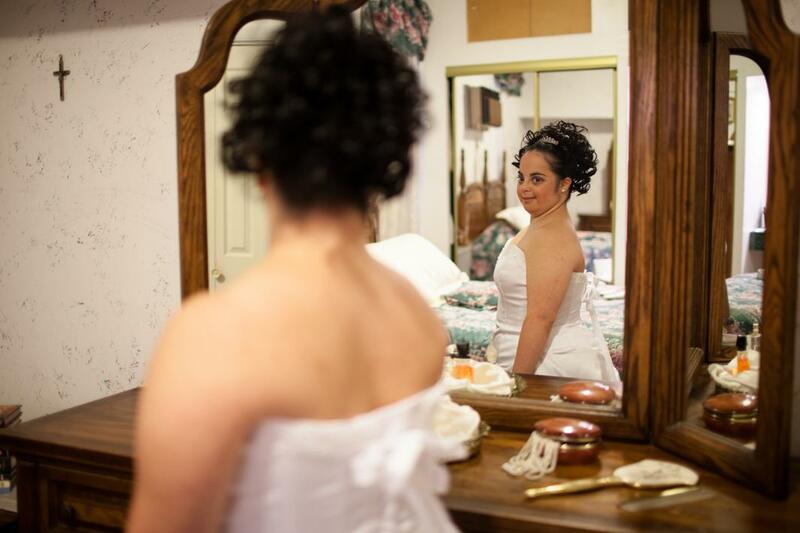 Ricchina has Down syndrome and as she and Di Joseph began to attend more weddings over the years, Ricchina began to question her mother about why she wasn’t able to get married. 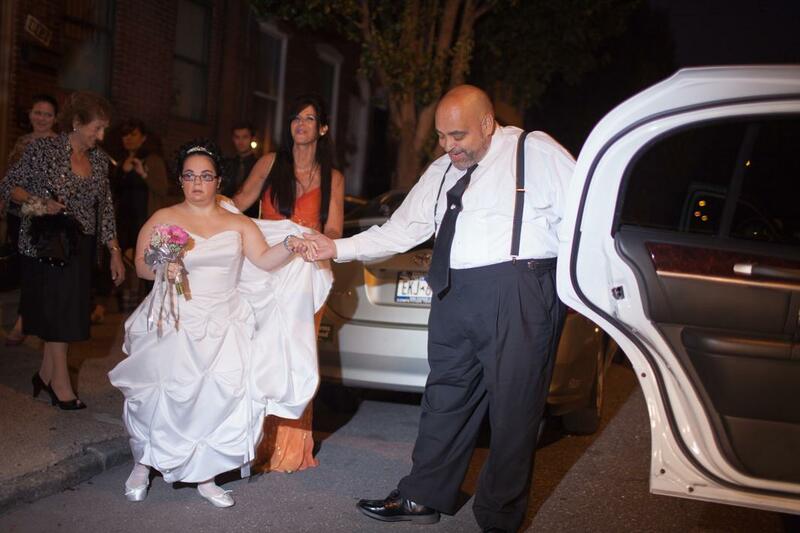 “I would die whenever she asked, because I didn’t know what to say,” Di Joseph said. Thanks to Di Joseph’s never-take-no-for-an-answer attitude, Ricchina had already met two of her idols, Justin Timberlake and Lance Bass, encounters Di Joseph felt certain would be the highlights of Ricchina’s life. 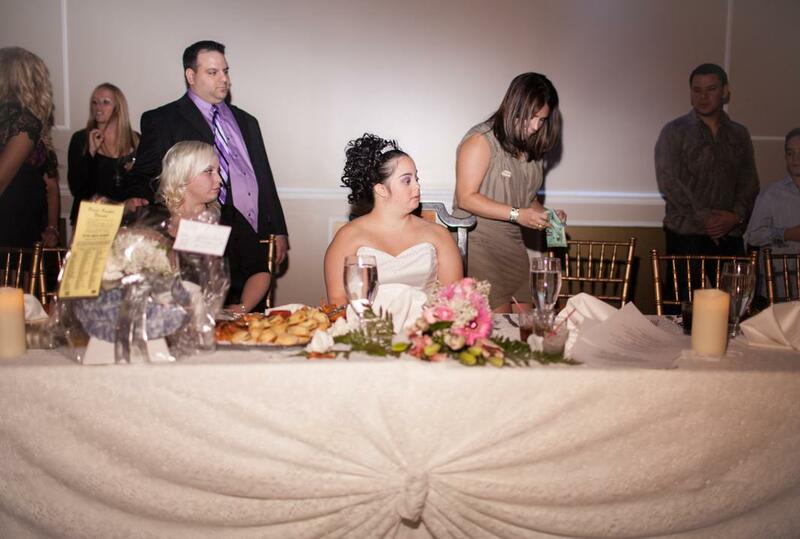 But as it turned out, the wedding-themed birthday party would top both of those. “When it comes to Ricchina, I just look straight ahead and whatever she wants, I make it happen,” Janice said. Ricchina is styled by friends at a neighborhood salon in south Philadelphia. Ricchina poses with Grandma Dolly in the home that they share with her mother. Ricchina laughs as she admires her new look in the mirror. 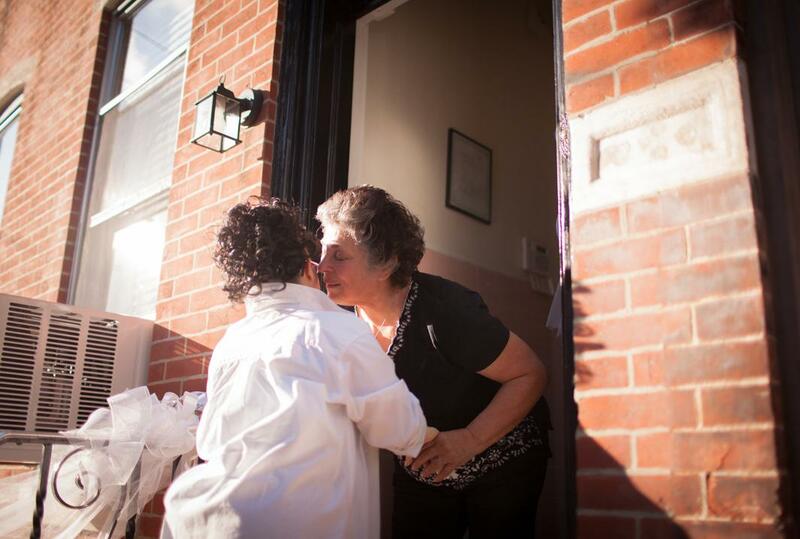 Ricchina’s Aunt Connie greets her at the door in tears. Janice encourages Ricchina to get ready. 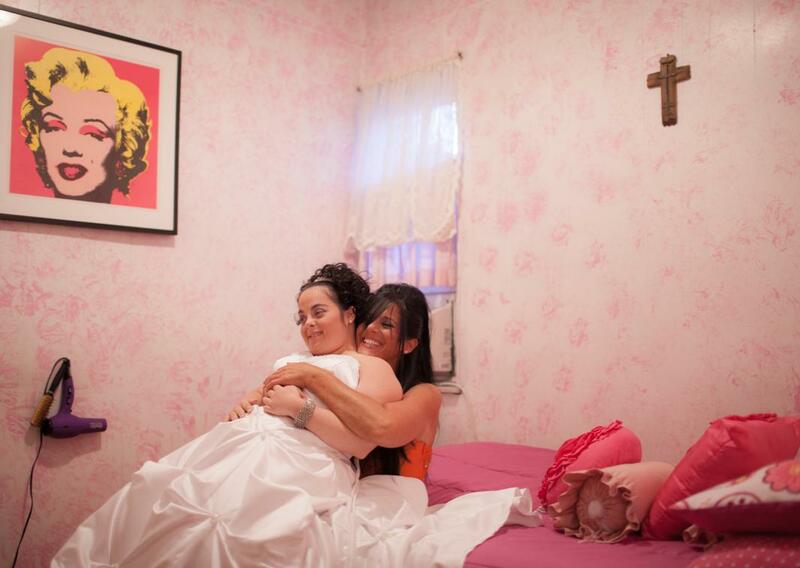 Before they head downstairs to a few waiting family members, Janice and Ricchina take a moment together. 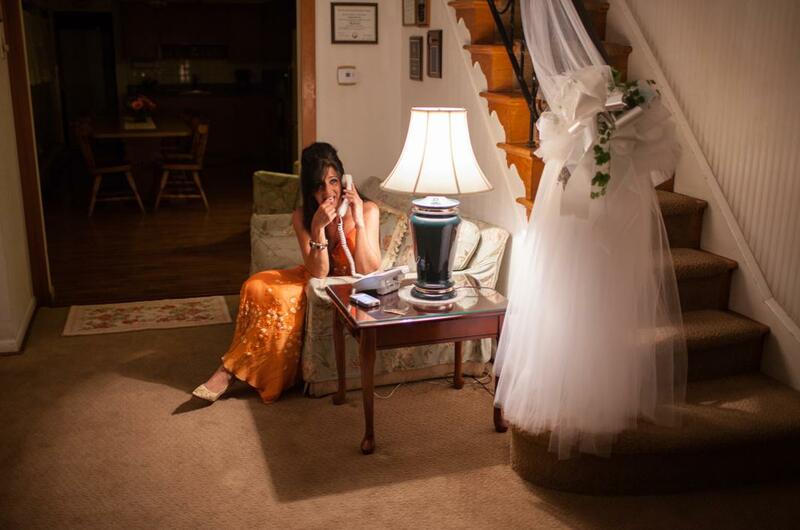 A nervous “mother-of-the-bride” calls the late limo driver. For Morris, photographing the party was another opportunity for her to create personal and intimate stories told through photography. She is currently in the process of publishing a book, You Are You about a camp for gender variant children, covered in Slate last year, and said although she hasn’t always considered herself to be the most confident person, photographing events like Ricchina’s birthday has changed that. The neighbors see Ricchina off to her surprise 25th birthday party. 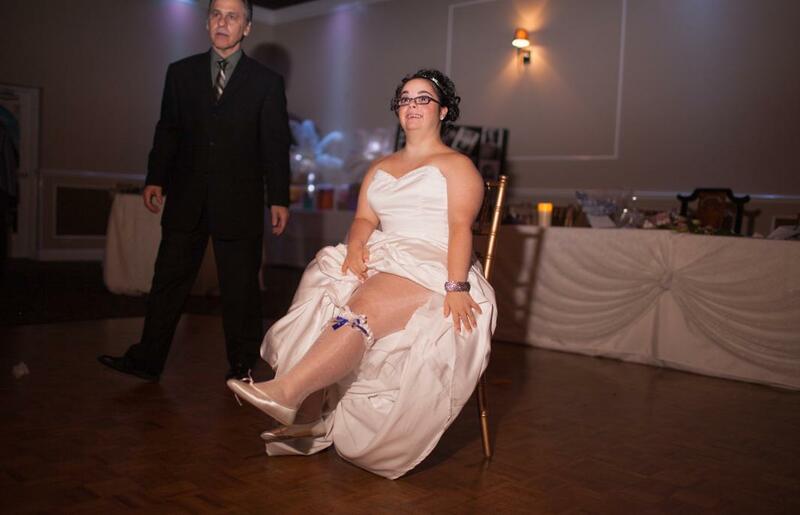 The wedding celebration is traditional, right down to the garter. Morris added that she often enters a zone while working behind the camera and feels she has further developed a style that is rooted in her making other people feel comfortable. She feels photography is a great vehicle for sharing other people’s experiences. As for Ricchina, she and Di Joseph simply love looking at the images Morris took. 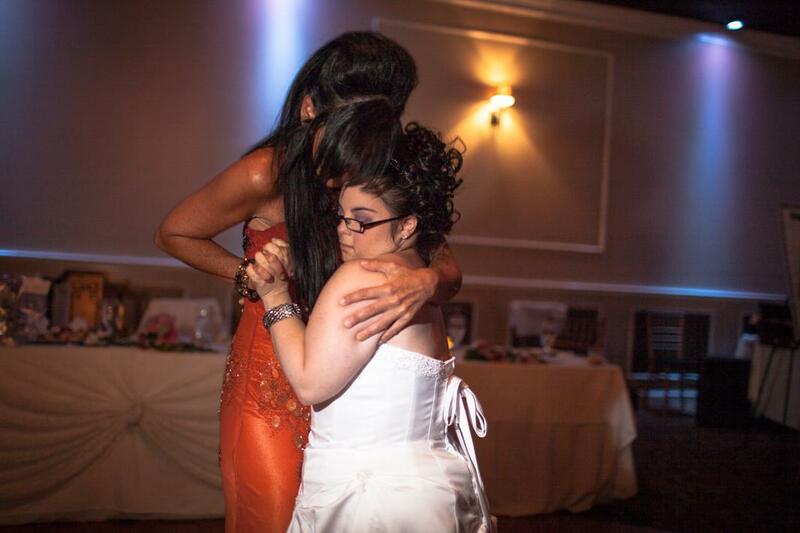 Ricchina saves the first dance to “Endless Love,” for Janice. The two have been singing and dacing to it since Ricchina could walk.